Over the past few months we have already achieved this goal. From being a very safe Liberal seat that got nearly no media attention, the nation’s eyes have turned to Indi to see how the contest between community candidate Cathy McGowan and Liberal MP, Sophie Mirabella plays out. Over the past few days we have fielded calls from numerous journalists who are willing to drive from Sydney, Canberra and Melbourne to see for themselves what is happening in Indi. In an election campaign that again seems to be dominated by slogans and rhetoric from the major parties, Cathy McGowan’s grassroots movement in Indi is shaping up to be the good news story of the election. On August 4 more than 400 people, all clad in various shades of orange (Cathy’s campaign colour), packed into The Cube in Wodonga for the campaign launch. People came from as far as Corryong and Benalla for the event, which was, by any estimation, one of the biggest political gatherings to take place in Indi for many years. This huge groundswell of enthusiasm is happening all over the electorate and as the election date draws nearer there is a building feeling that Cathy has a chance to take the seat of Indi. Since then Sophie Mirabella has been saturating the airwaves with TV ads. The Wangaratta Chronicle, a local newspaper, has reported she will be spending a ‘six-figure sum’ on defending her seat. 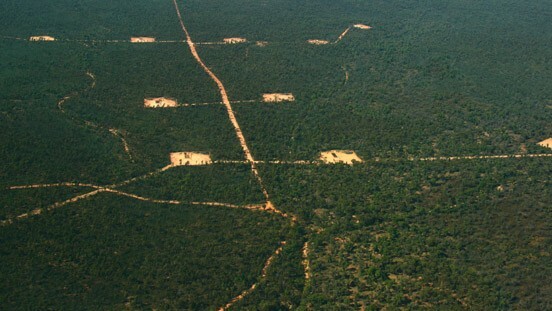 In response, we have launched Australia’s first ever crowdfunding pitch to raise money for our campaign. Using Chip In, we have asked for $25,000 to pay for advertising so we can get our message out to the 90,000 people in Indi. If we don’t have as much money as the Mirabella camp, definitely one of the successes of our campaign so far has been our social media strategy. It sounds like a cliche, but a lot of the momentum of the campaign has come through social media, and I have really begun to understand how integral it is in running political campaigns. Especially in an electorate as big as Indi. Roughly the size of the US state of Massachusetts, Indi has a population of only 90,000 and incorporates much of Victoria’s high country. The geography alone makes coordinating volunteers difficult. But with a mixture of Twitter, Facebook and Nationbuilder software we have been able to organise our 300-plus active volunteers effectively and connect our team on the ground through social media. There is still a long way to get yet, but there is a genuine feeling across Indi that the time is right for a change. People are engaging with politics in a way that I have never seen before. Rather than just turning up on election day and voting, whole towns are getting together and having fundraisers and working together to create the change in Indi that they want. Regardless of the result on September 7, Indi has already shown that grassroots democracy works and that people do have a voice. Ah politics as it was supposed to be; vote for a popular local member who then works for the electorate. Nothing would give me more pleasure than for Sophie Horribilis to be turfed into the redundant, loudmouth bin of history. 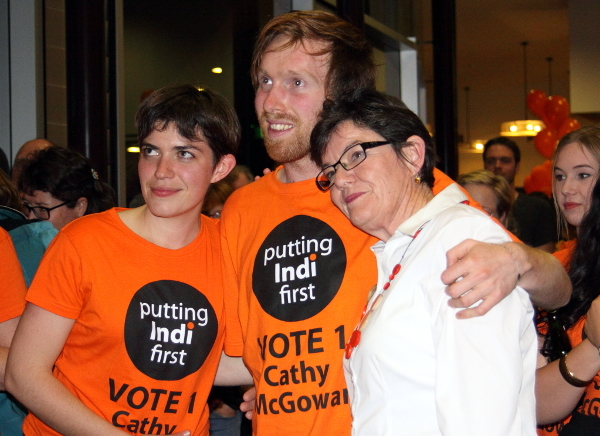 Cathy McGowan listens and puts the people of Indi first. Sophie Mirabella talks about herself. Yes indeed Sophie lives in the electorate of Mirabella not Indi. Remember the cringing look on her face when GetUp’s Simon Sheikh collapsed on the set of ABC’s Q & A in 2012. Best of luck Cathy (and I’m a Labor voter). Actually, McGowan’s team isn’t the first in Australia to use crowdsourcing to fund their campaign. Google “Gamers 4 Croydon” – through crowdsourced donations, that minor party was able to field 6 candidates in the 2010 SA state election, including paying for corflutes, newspaper ads, print material, campaign merch such as t-shirts & other advertising. I too am a Labor supporter but I wish Cathy Mcgowan all the best. Anybody tempted to vote for the LNP should just try to compare the women in Abbott’s mob with the competent ,intelligent women in the Labor ministry! 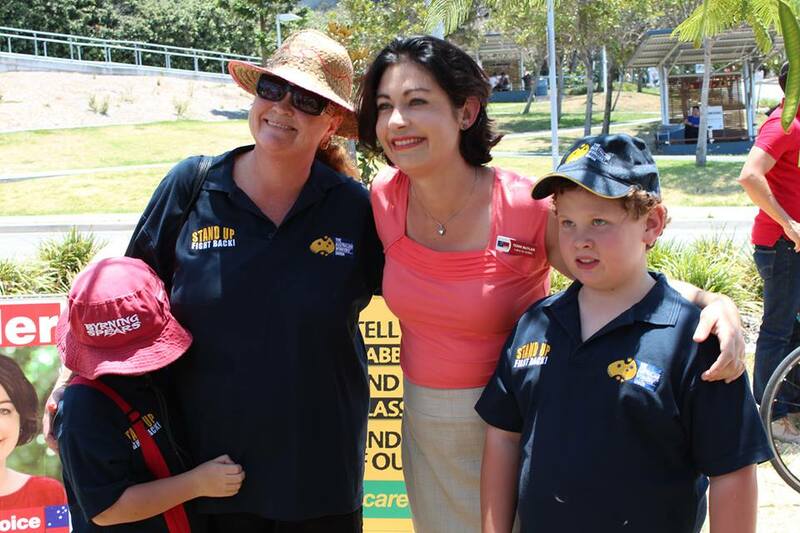 An Independent of the calibre of Ms Mcgowan would be a big plus for all women voters. I’m a labor voter too. Sophie is a real waste of time. She has contributed nothing of value to the parliament or the electorate. I have no idea why she was pre-selected. Not the only LNP candidate I have had the same feeling about but she is in Phoney’ front bench. All strength to your arm. This is a great opportunity for Indi, to become a seat not taken for granted. In Cathy McGowan, they would have a representative who is down to earth, in touch with the electorate, committed to the electorate rather than politics itself, hard working, honest, kind, smart and strong. She also has wonderful leadership qualities and has the ability to bring people together rather than divide them. Indi is an electorate with huge diversity of people and thought and Cathy is a PERSON who is able to find the common threads which bind people rather than representing the interests of a narrow group. Cathy’s personal qualities, knowledge, experience and skills make her well equipped to represent Indi in a way which will give Indi a real voice and make the people proud. Alternatively, Indi runs the risk of having a representative with questionable personal values, red necked tendencies, narrow views and who could reasonably get a gig in an Enid Blyton book as the POISONOUS PIXIE. Never before, has Indi been so disenchanted with a representative and so ready to embrace a good person who would represent them with excellence. Go Cathy! Even though everything points to an Abbott win I will be watching Indi closely and will get great pleasure in seeing Mirabella lose.